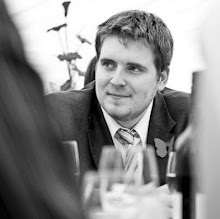 There has not been any announcement as of yet that suggests what Google aims to do with the technology, but this potentially could have a knock-on effect within search results for the highly competitive insurance arena for both PPC and SEO. We have already seen that Google is not afraid to beat advertisers at their own game with the inclusion of the "comparison ad" box above searches for credit cards in the UK. The comparison ad box is served by Google and sits at the very top of the page, pushing PPC and SEO results down an extra position. For those that work in this space know, the drop in Click-Through-Rates on these sorts of terms can be quite substantial when you do not appear in those top positions. I have yet to see case studies that detail the full impact of these comparison ads on the rest of the market-place as Google have continuously played with the positioning and formating. However, if they are likely to repeat this process within the insurance space, then it is likely that we will see some form of complaint being made to the Competition Commission. The ZenithOptimedia Moxie Trends video this month focuses on one of the hot social media / digital topics - Location Based Services (or "LBS" for short). Nicola Smith, Kimberly Davis, Nick Burcher, Adam Hemming and Nicholas Tay are your guides as ZenithOptimedia Moxie take a trip around the globe looking at the big players and latest developments in LBS. It's not just Google Latitude, FourSquare and Gowalla - they look at local trends in Europe and Asia too. A highly useful video for those that are interested in the latest developments in soical media technology. Being Batman - Episode Two - "Not Yet, He Ain't"
Continuing my unofficial role as the blog to Becoming/Being Batman, I am proud to highlight episode two of season two - "Not Yet, He Ain't". In this epsiode, Wayne is finding it hard to get motivated. However, there's an app that will help launch the plot! Being Batman - Episode One - "The Dark Knight Returns"
It been 10 months since the end of "Becoming Batman". With the promise of a second season, we finally have the new episodes of "Being Batman". This time is glorious HD! Thanks to Stuart Laws, Al Clayton and the rest for carrying on with such a great concept. 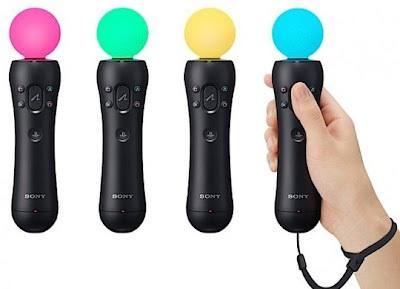 With the launch of the motion-sensitive "Playstation Move" controllers coming later in the year, Sony has begun the campaign to place the Move into the public mind-set in an attempt to set itself ahead of the Microsoft Natal coming at the end of 2010. One of the first commercials to be released is the below video that tries to demonstrate the product itself whilst making fun of their Microsoft Natal and Nintendo Wii rivals. I have to admit that this made me laugh more than it really should have!